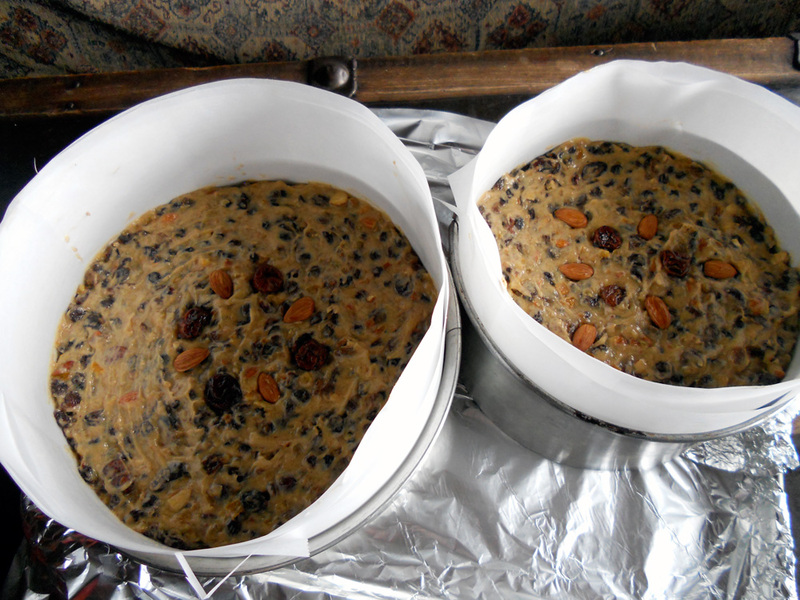 I think this is at least the tenth year I’ve made fruitcake on or near December 1. 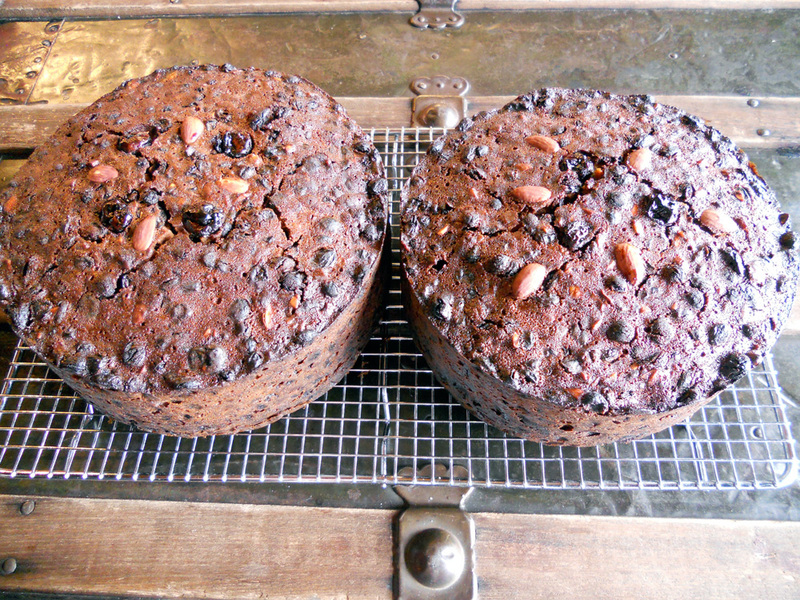 I know there are detractors, but I love fruitcake. My version is based on a recipe my Grandmother had torn out of magazine. I don’t know if she had actually ever made it (she lived in another country, and we never spent Christmas with her), but she gave it to me on one of my trips to visit her about 25 years ago. I use the basic measurements from the recipe, but with all organic fruit (well soaked in boozy booze) and homemade organic peel. It’s all brushed down with rum and wrapped up for a couple weeks to mature. Our studio smells amazing! 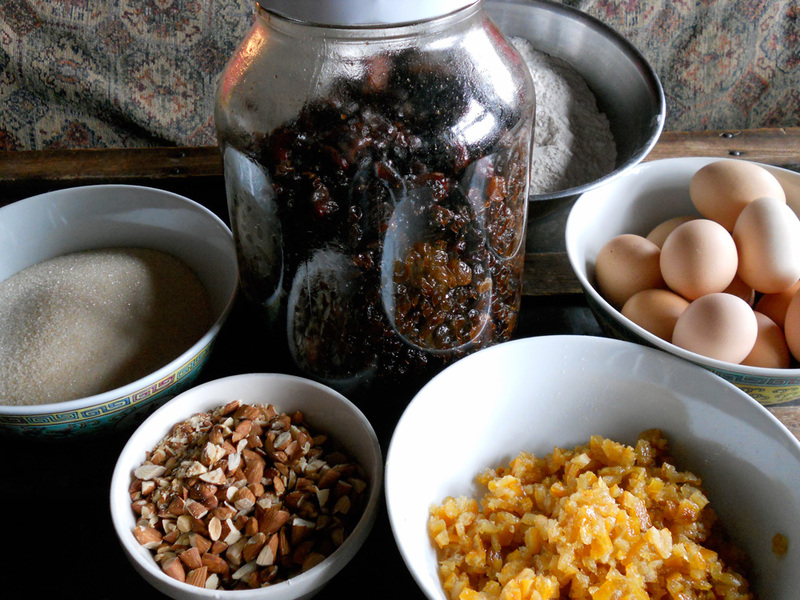 Raisons, currants, and dried cherries soaked in rum for about five weeks; organic sugar, flour, spice, butter, eggs, almonds, and homemade candied lemon and orange peel. In the pans by about 10 am, then in the oven for four hours. They look like they will be good this year! We’ll find out around the 15th.